You wouldn't find friendlier people to help you experience Japan in all its splendour. The Osaka Cloth Wrapping Workshop provides an enjoyable introduction to the art of Japanese cloth wrapping. 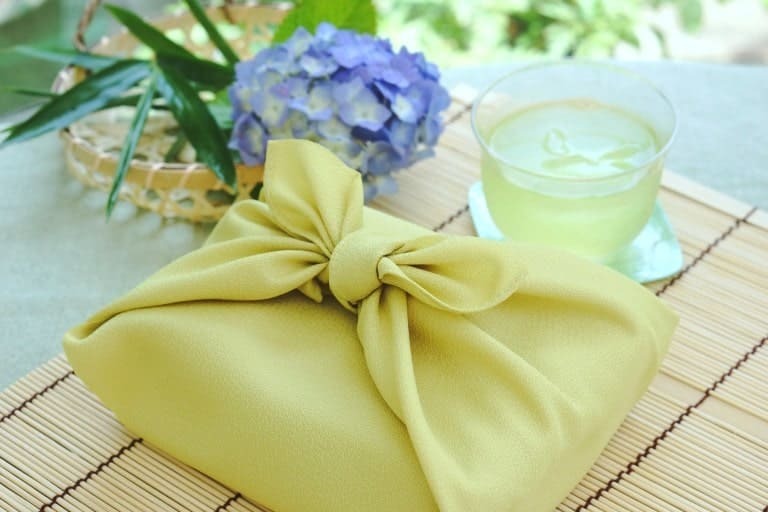 Japanese cloth wrapping is called furoshiki, and is the act of wrapping important items in Japanese cloth. This is an art form as the cloths used have beautiful designs and the way they are wrapped creates an intricate tie. Some furoshiki wraps even look like baskets, bags or even more complex designs! Furoshiki has become very popular in Japan and overseas as wrapping items such as gifts has been seen as trendy and eco-friendly. The class is run by a professional master in Japanese cloth wrapping who will teach you how to wrap items in a range of cloths and tie designs. When was the last time you wrapped a present without using wrapping paper? You might use furoshiki cloths for all your wrapping needs after this workshop! Under the expert guidance of furoshiki instructors from Osaka, you will have a go at wrapping a range of gifts and items. The cloth used will be given to you to take home as a memento of your experience. You will be encouraged to use traditional cloths and tying techniques that have been developed over hundreds of years. All classes will be in English. You will learn how versatile Japanese furoshiki cloths can be and how important gift giving manners are in Japanese culture. What can you expect in this Cloth Wrapping Osaka Workshop? Japanese Cloth Wrapping Workshops are held at the Osaka Experiences section of Maikoya Osaka Centre. This is a brand new tourist and entertainment complex in the popular Shinsaibashi shopping area, Osaka. At the end of the workshop, you can continue with a range of other activities and workshops at Maikoya Osaka to create a Japanese cultural experience you won't ever forget.